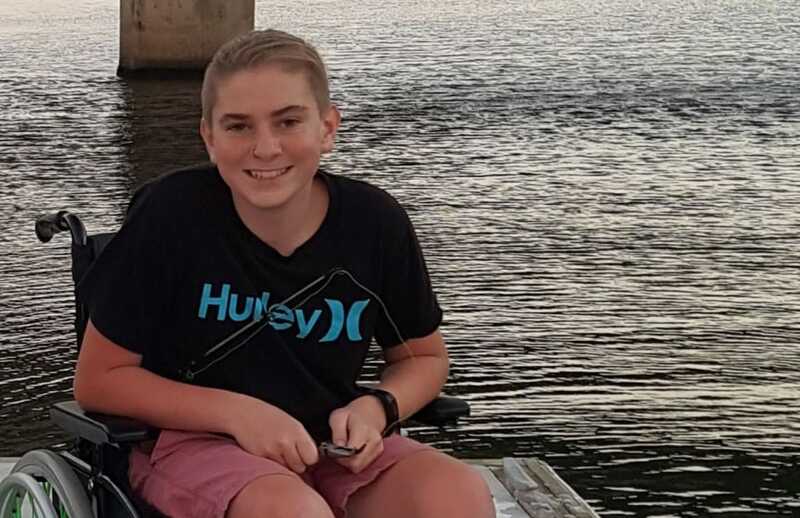 From being a black belt karate champion at 12 to being confined in a wheelchair at 14, it’s fair to say the past few years have been a roller coaster ride for Bathurst high school student Nick. 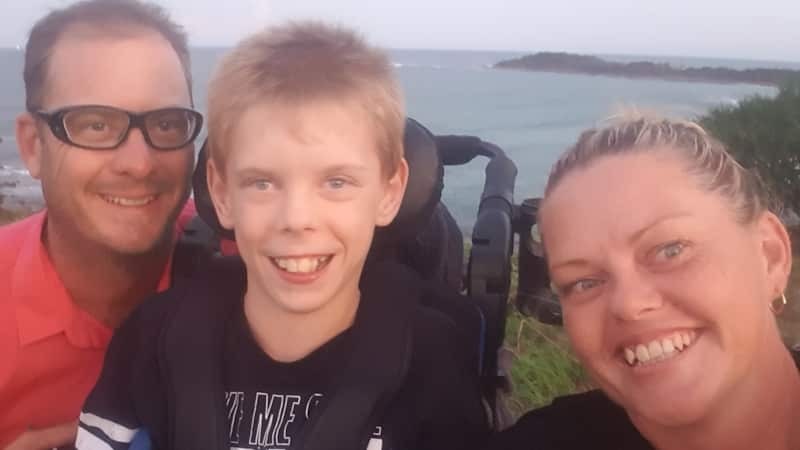 Unbeknown to Nick and his family, he had inherited a rare genetic condition called Charcot-Marie Tooth Disease which escalated with the onset of puberty. The disease affects peripheral nerves resulting in weakness in the musculature, it gets progressively worse over time and there is no cure. Nick’s diagnosis prompted tests on the rest of his immediate family, and these revealed that his mother Tanya and one of his older brothers also had the condition. 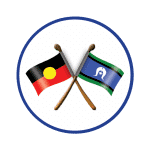 Tanya says Nick’s condition is the worst and has been particularly cruel for him as he has always been sporty, excelling at AFL, golf, cricket – “pretty much whatever he turned his hand to”. Following his diagnosis Nick had leg braces fitted but due to teasing at school he stopped wearing them. “As a result he tripped over one day and broke his leg at the hip joint right on the growth plate, so he had to have surgery and now has four permanent screws in his left hip. The surgeons said the same thing could happen to his other hip so they’ve put a screw in that side as well. Tanya describes the past two years as “a whirlwind” for Nick. “He’s an amazing person, very resilient. 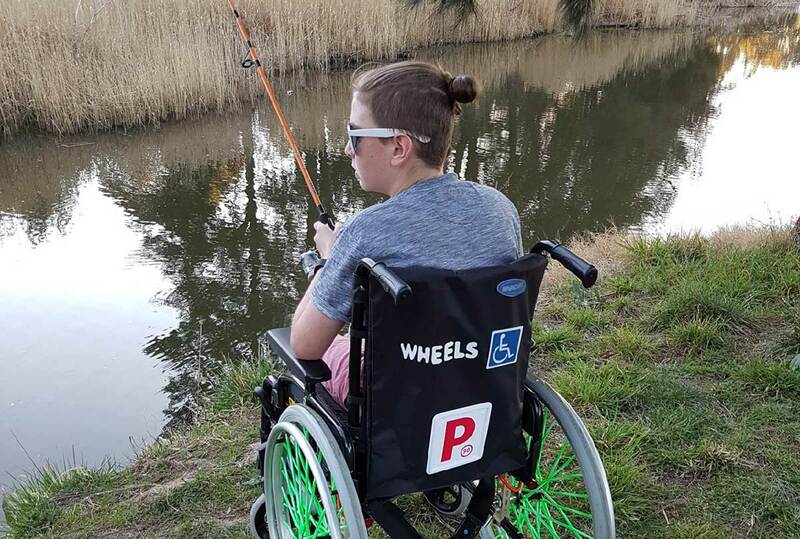 After his surgery took place in July 2017 he was in a ward with other kids who had become quadriplegics and paraplegics after accidents, so that also helped him stay positive about his own situation,” says Tanya. However, things really came to a head just after Christmas, when Nick could no longer get into the car, couldn’t close the bathroom door and his loan wheelchair had to be returned to the hospital. 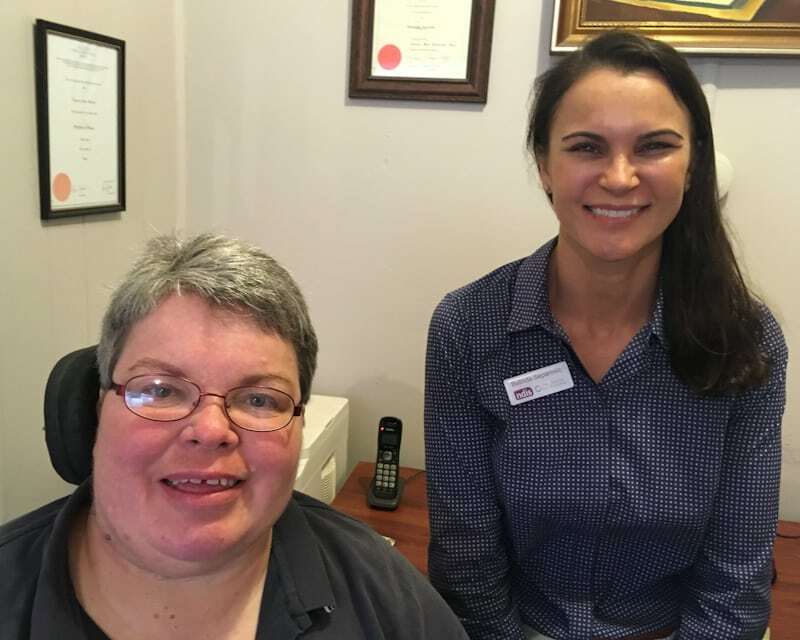 “When (NDIS partner) Social Futures opened its new Bathurst office in March I went straight in and asked to speak to a Local Area Coordinator – and got Jo!” says Tanya. 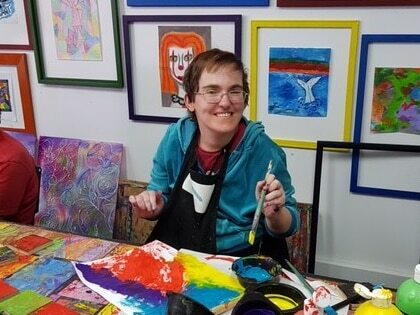 Nick’s plan provides funding for a Support Coordinator who has helped organise modifications to the carport and bathroom inside the family home, as well as widening footpaths around the house and putting a ramp outside the back steps. Given Nick’s lack of muscular strength he has been assessed for a power wheelchair and this should be organised soon. In the meantime a local engineering firm has built a desk into his existing mobility scooter with NDIS funding to make school and home life easier. Last but not least, Nick loves fishing and once fishing season opens on 1 September 2018, a support worker will be taking him to all the best local spots. “Nick’s had to take a lot of time off school given everything that’s been going on but Bathurst High have been great – they’ve made a number of modifications to the school to ensure Nick can re-engage. “He’s got heaps of mates at school and he’s now really looking forward to going back next term.